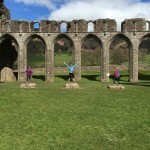 It’s the Year of Adventure here in Wales and now that we’re over half way through the year I thought I’d share a few of my adventures to date. 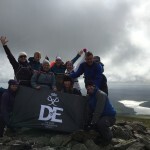 My main challenge in 2016 is the DofE Diamond Challenge, a chance for everyone to experience a bit of the DofE, celebrate its 60th Anniversary and raise money to support disadvantaged young people to do the DofE. So naturally, I set myself the challenge of completing 60 days of adventure, via as many different outdoor activities as possible. I’m not breaking or setting records or attempting anything new, but simply getting outdoors in ways that are accessible to anyone with a sense of adventure and a can-do attitude. So far I have been swimming, skiing, mountain biking, road cycling, sailing, trail running, hill walking and slept out in a bothy. Still to come will be coasteering, climbing, SUP Boarding, canoeing, kayaking, adventure racing and more. it is possible to sleep 5 people in the 3 person Grwyne Fawr bothy, if you’re happy to cwtch up with some random strangers, oh and put one person on the cold stone floor downstairs. Bit chilly in -2C though but Anna survived to tell the tale. Hard as nails McNuff! 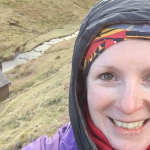 you should not attempt to walk across Wales in a pair of B2 boots – yes, time to laugh at myself and invest in some lighter walking boots (school girl error that one)! 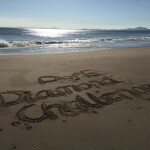 Big thanks to Mel for actually swapping boots with me and congratulations to the DofE Wales office team for completing this fantastic Diamond Challenge. you should not attempt to dry out the insoles of your trail shoes on the wood burner at Grwyne Fawr Bothy – they will curl up and not return to their original shape. Second school-girl error. Carwyn Phillips is the friendliest and most encouraging race organiser you will ever meet. 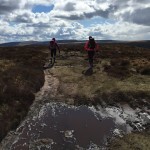 Competitors travel from Holland to Pembrokeshire to compete in the annual Preseli Beast trail running event. 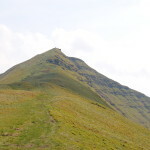 climbing the Welsh 3 peaks with individuals who haven’t climbed them before is a great reminder as to the personal challenge & sense of achievement experienced. I was able to relive the magic of these 3 iconic peaks through others and see them in a new way. 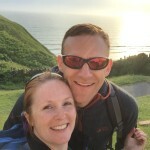 it’s a bonus when you plan a walk that finishes at a good pub – the Druidstone Inn in Pembrokeshire is a fine example, fantastic food and views but they don’t do chips! 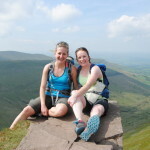 even on a bank holiday Monday there are quiet spots in the Brecon Beacons (we estimated 1000+ walkers on Pen-y-Fan, my friend and I passed 12 walkers on the Fan-y-big horseshoe). Oh and the Ice-cream parlour in Llanfaes, Brecon was open until 6pm – Mmmmmmmm.